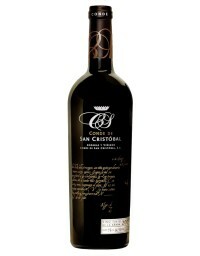 Conde de San Cristobal is a Ribera del Duero outstanding. This great wine goes in new French oak barrels between 12 and 14 months, and it shows: powerful but elegant, clean, fresh, ripe with some minerals and spices. Upon entering the mouth does not go directly to the throat, it is so nice that we keep in our palate tasting and trying to differentiate the many nuances that fill it.